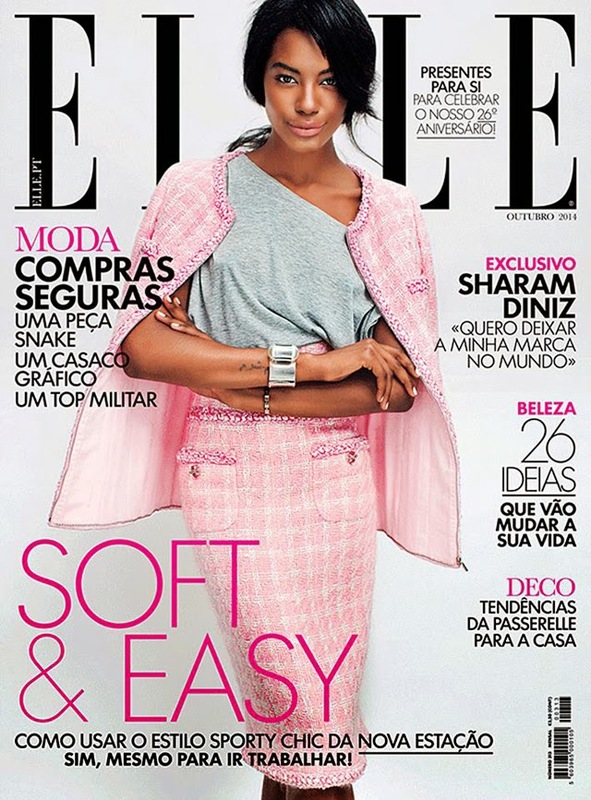 Elle Portugal, well, hello there. I don’t think we’ve had the honour of featuring you before. However, your October issue did certainly grab our sartorial eye with your return to ladylike fashion. Is there ever a moment when a pink Chanel skirt suit is out of style? Me thinks not. It is the universal wardrobe essential. Worn by women as old as 90 and as young as 19, Chanel has no age restrictions. What I love about this particular styling is the way in which the stylist matches the age of the model with the way in which the Chanel suit is presented. A slouchy grey tee is worn underneath the jacket and styled with silver chunky accessories. It’s 100% age appropriate. If we had seen this young lady wearing the Chanel suit buttoned to the neck with a set of pearls, it might be a different story entirely. Love.